The new age skincare consultation which we don’t have to see the doctor in person. I have done my skin consultation though a Digital Skin Doctor named Dr Rei few months back. Doctor Rei is an interactive skin doctor who analyses your skin condition and needs through a systematic mapping platform. Upon completion of your individual diagnosis, a personalised skincare regime will be prescribed to work in tandem with our proprietary range of products. With just few simple steps of consultation, Dr Rei will prescribe the most suitable The Face Inc skincare range for your skin. Thanks The Face Inc for sending the products to me! My prescription details, which clearly indicated the products and sequence to use in Day and Night. I have been using The Face Inc products for 2 weeks, so far I’m pleased with the outcome and cause no breakouts for my skin. Now, I going to go in details on each products I’m using. A proprietary cleansing formulation that hydrates and tones all skin types. Cucumber extract acts as a skin conditioning and softening agent, and has mild exfoliating properties. Sodium Chloride is a natural astringent and antiseptic agent that absorbs moisture, firms the skin and balances pH. Reviews: Lightweight and gentle to skin. Foam-less kind of cleanser which prevent dryness of skin after cleanse. Reviews: It gives a refreshing and cooling feel after application. Gentle to skin, I love the scent and minty feel. An anti oxidant with maximum Vitamin C content to encourage collagen and elastin production. Controls the adverse effects of photo-damage and premature skin aging. Ascorbic Acid and Ascorbyl Tetraisoplamitate suppresses pigmentation of the skin and improves skin elasticity by stimulation of collagen synthesis. Reviews: Gel type, quick absorption into the skin. Non-sticky, a thin layer is good enough. A proprietary formulation that increases cell renewal and stimulates collagen production. The result is a significant reduction of fine lines and an improvement of uneven skin texture. Retinol, a form of Vitamin A which is present, resurfaces and rejuvenates the skin by penetrating beyond the outer layers of the skin to repair the dermis where collagen and elastin reside. Salicylic Acid, removes dead skin readily to allow room for new cell growth. Reviews: It may looks a bit oily but it actually absorbed into the skin promptly. Slight sticky feel, but it goes away when it dry. A very light scent that soothes the skin. An oil-free formulation that prevents the breakdown of collagen while stimulating cell renewal. Argireline works to reduce the appearance of wrinkles and fine lines brought on by repeated facial expressions. Increases overall skin firmness and elasticity. Reviews: Non-greasy type of moisturiser, it leaves my skin smooth and silky instantly after application. And this will be use as the last step for Night regime. Reviews: I preferred a non tinted type of sunscreen because it’s better for me to apply my makeup after using the sunscreen, Non tinted sunscreen will not affect my foundation tone. Non oily, never leave your skin with white patches and natural looking after application. 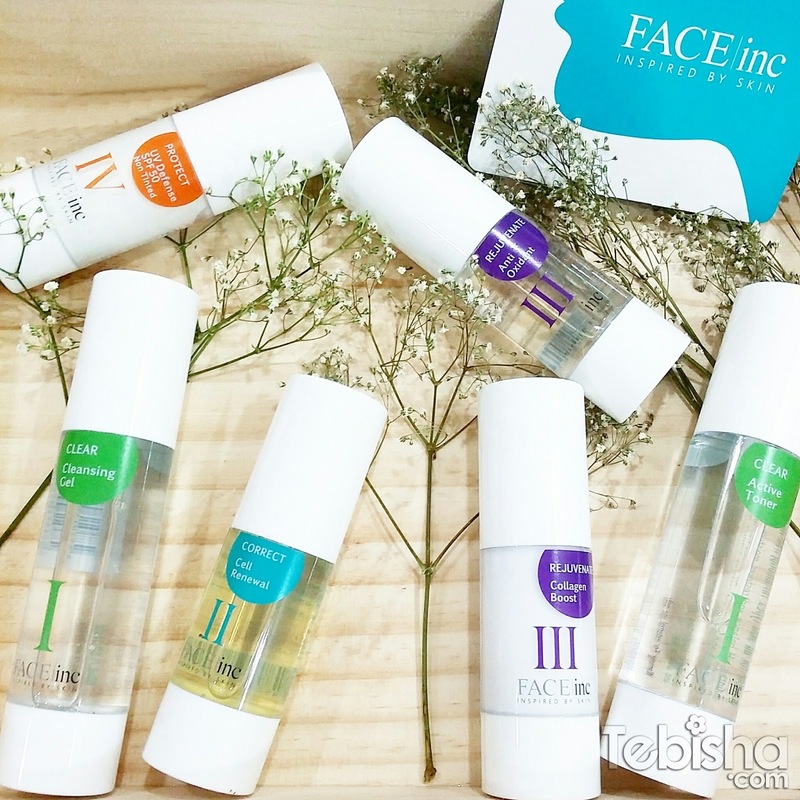 Start your skincare journey with The Face Inc now. FREE online skin consultation with Dr Rei now!